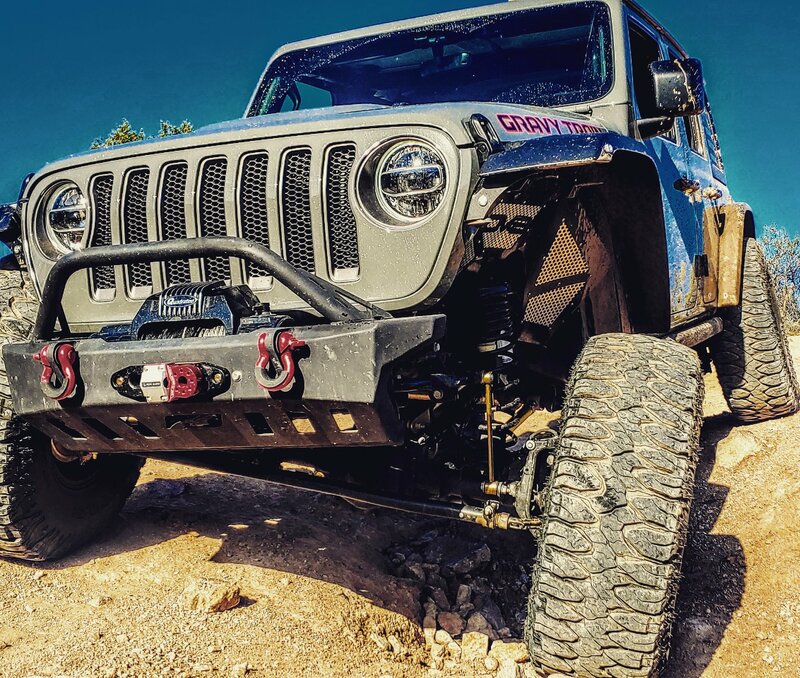 The Motobilt Jeep Wrangler JL Crusher recessed winch bumper with bull bar will provide you the ultimate in protection and recovery. The bumper allows you to secure your winch down low in between the frame rails. The winch bolt pattern will accept multiple style winches up to a Warn Zeon. The high clearance design includes a built in skid plate also. The bumper is made from 3/16 inch thick steel plate that is laser cut at Motobilt HQ then cnc bent. The bumper uses 3/4 inch thick laser cut d ring mounts that pass through the bumper and are welded both inside and out. These d ring mounts accept many common sizes of recovery shackles (not included). This setup provides for superior strength. The bull bar is made out of 1 3/4 inch DOM steel tubing. This is the same material used for roll cages and tube chassis so it is built for strength. 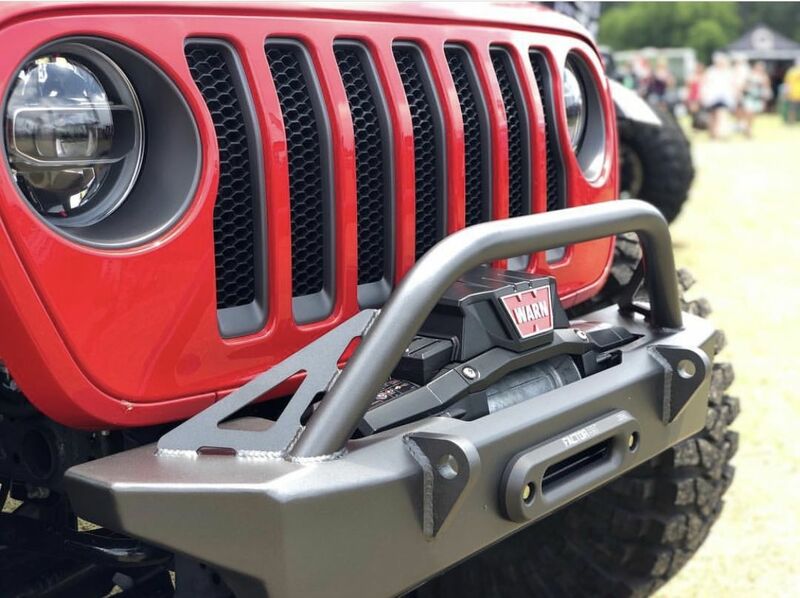 The shorter design of the bull bar provides good looks and protects your winch. 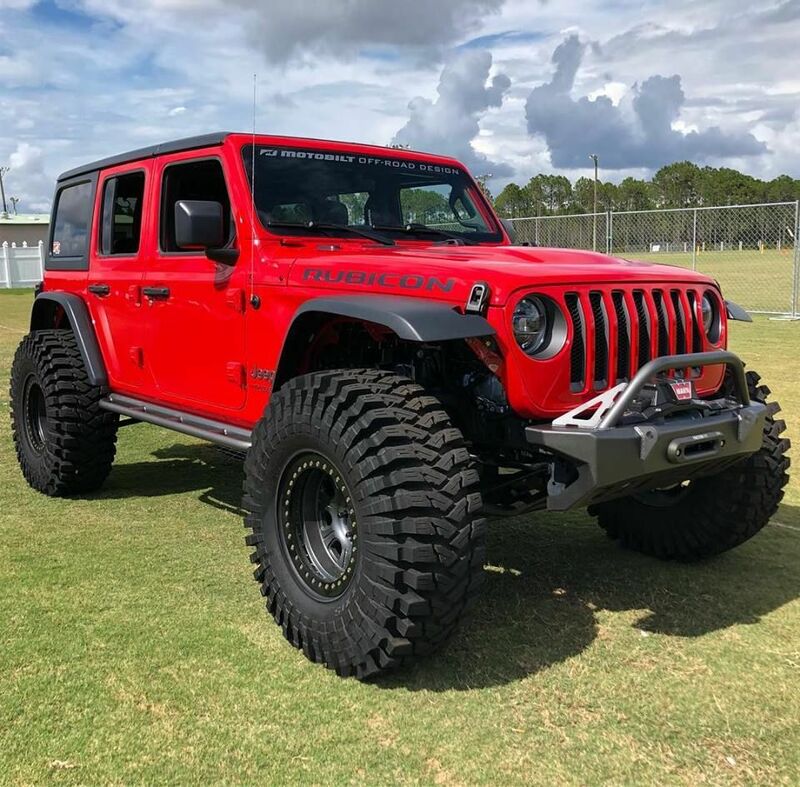 The bumper measures in at just 46 inch at its widest point. and provides ample clearnace for 40 inch tires. The bumper will ship bare metal and will need to be painted or powder coated once you receive it. It comes with all the necessarey mounting hardware.